I used to spend most of that off-time taking long walks and reading. For a while, however, no one could understand why I would come home everyday with my pockets ripped off, until they found out that, since I always had my face in a book, I'd usually keep myself from losing my way by brushing along the fence posts or trees as I walked. They feared I might become too high strung and my health would be affected. In my senior year I participated in a theoretical seminar in which we students had to give lectures on controversial themes, each guided by one of our professors. It was my good fortune to select a subject - statistical mechanics - which interested Einstein, so I went to his home several times to discuss the theme and spent many a pleasant hour accompanying him on his daily walks. How I enjoyed those talks we'd have, as we strolled across the countryside together. Also, he invited me to attend some of the chamber music concerts he sometimes held in his home, in which he himself participated. For further comments that Herzberger made about Albert Einstein, see THIS LINK. I owe special thanks to Professor Schur for the strong support that I received during my studies and during the preparation and printing of this work, and for learning much from him. In addition to those just mentioned, Herzberger states in his thesis that he had been taught by Belovsky, Blasius, E Fischer, Gabriel, Grau, Henning, Fr Koehler, Liebisch, and H Maier. Until 1934, then, he worked in succession with the old optical firm of Emil Busch [in Rathenow], the Leitz Company [in Wetzlar], and [in 1927] the Zeiss Works [in Jena]. At Zeiss he became mathematical assistant to the director, and there he devoted most of his time to the theoretical aspects of lens design. It was there also that he became a colleague and friend of Dr Hans Boegehold, with whom he frequently collaborated. Obtaining these positions allowed Herzberger to marry Edith Kaufmann in 1925; they had three children, all born in Jena, Ruth (born 1928), Ursula (born 1931) and Hans (born 1932). He was also able to begin an academic career, being appointed to the University of Jena. His early publications were: Anwendung der Vektoralgebra auf die geometrische Optik Ⓣ (1924); Über die Durchrechnung windschiefer Strahlen durch ein System zentrierter Linsen Ⓣ (1925); Über einen Anastigmaten von Aplanatform Ⓣ (1925); Über einige Fragen der geometrischen Optik Ⓣ (1926); Über die Durchrechnung von Strahlen durch optische Systeme Ⓣ (1927); and Some Remarks on the Extension of the Optical Cosine Law (1927). With the rise of the Nazis to power in Germany, he was forced from his position; he escaped with his wife and three children to Holland. After a short period of uncertainty, during which he visited Russia and there was invited to join the faculties of several Russian universities, he went to England. Through the efforts of Dr Einstein, the Bausch and Lomb Optical Company and the Eastman Kodak Company became aware of his need for a permanent position where his talents could be appreciated. It was in 1935, then, that he was transferred from the London office of the Eastman Kodak Company to the main works in Rochester, New York. In fact Herzberger was the only mathematician dismissed from the University of Jena under the 1933 Civil Service Law. He worked as the Head of Optical Research at the Eastman Kodak Company in Rochester, New York from 1935 to 1965. As one might expect, from 1935 onwards he published in English. Among his first papers written in English we mention: On the Fundamental Optical Invariant, the Optical Tetrality Principle, and on the New Development of Gaussian Optics Based on This Law (1935); On the Characteristic Function of Hamilton, the Eiconal of Bruns, and Their Use in Optics (1936); Hamilton's Characteristic Function and Bruns' Eiconal (1937); and Theory of Transversal Curves and the Connections Between the Calculus of Variations and the Theory of Partial Differential Equations (1938). He was awarded the Cressy Morrison Award from the New York Academy of Science in 1945. Dr Herzberger has always been interested in trying to develop a general theory of optical imagery, along the paths of thought originated by Hamilton and extended by Bruns. Needless to say, this is a difficult approach but one of great promise, especially for the clearer understanding of optical imagery. ... Dr Herzberger, with the algebraic approach, has the ambition to make clear the entire phenomena of optical imagery in such a manner that the required lens design will follow logically and even obviously from prescribed performance requirements. For the complete citation for this award, see THIS LINK. This is a systematic exposition of geometrical optics, presented with a minimum of mathematical theory. The formulas are developed in a form suitable for high-speed electronic computation. The work incorporates the results of the author's research over a period of more than fourteen years. The idea first came to Max in the mid-1940's and by 1954 he was finally able to demonstrate with mathematical equations that what the world had thought impossible was indeed theoretically possible. ... Not only did Herzberger solve the correction for colour distortion with a combination of only three glasses or lens. but in so doing, he also improved the accuracy for all visible colours to such a degree that the films of the 1950's and 60's were incapable of reproducing them. Kodak, therefore, hailed him for his sensational breakthrough, but felt that such a lens would be too expensive and impractical for the market at that time. ... when he came to New Orleans he was able to tackle the Superachromat theory again. With the help of physicist George Loup and the UNO computer, Herzberger proceeded to wade through the approximate 30 million combinations of the more than 300 commercially available glasses, taken three at a time, in order to arrive at the most practical combinations for his triplet lens. Although the Superachromat lens remains expensive to produce, it is manufactured today and achieves colour correction far better than anything previously achieved. The lens, only used when the highest quality is required, gives vast improvements to telephoto shots requiring extreme sharpness, infrared and multi-spectral photography, industrial, scientific, and aerospace photography. 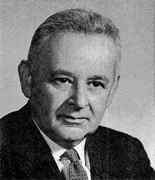 Herzberger continued to hold the position at the University of New Orleans until 1978 when he retired for the final time. With his high button shoes and matching vests, 80-year old Max Herzberger radiates Old World charm, but there is always a slightly disheveled air about him ... Max's pockets are usually stuffed with books and his neckties are always askew. ... [He] is famous for his mumbled introductions, simply because he can never remember names. Although he can memorize the most complicated formulas, recite Shakespeare, Plato, and Goethe by heart, and remember the most involved moves of championship chess games, he readily admits he has always had a terrible memory for everyday things. He even sheepishly confesses that he once walked home for miles in a blizzard because he had forgotten where he had parked his car. ... preparing special gourmet recipes, taking leisurely rides through the country to contemplate nature. and reading poetry or plays aloud. which he does with a delightful flair for the dramatic. Also, as an expert chess player, he has kept as many as 38 games going at once. After one tournament at UNO, in which he had played 18 games simultaneously, one of his admiring opponents commented that the greatest strain seemed to have been more on Max's feet than on his mind.